It must have been a birthday or an anniversary, a celebration of some sort that required making a reservation and appearing at an appointed time in clothes we never wore around the house. Seated at the bar while waiting for our table, trying to look sophisticated in those unfamiliar-feeling outfits, the bartender asked what we'd like to drink. This was in the days before I could ask for a gin by name, then descend down my preferred list until the bartender nodded an affirmation. Before I could rattle off "Plymouth martini, very dry, shaken, with olives, please" without thinking twice. My response was to ask what he'd recommend. 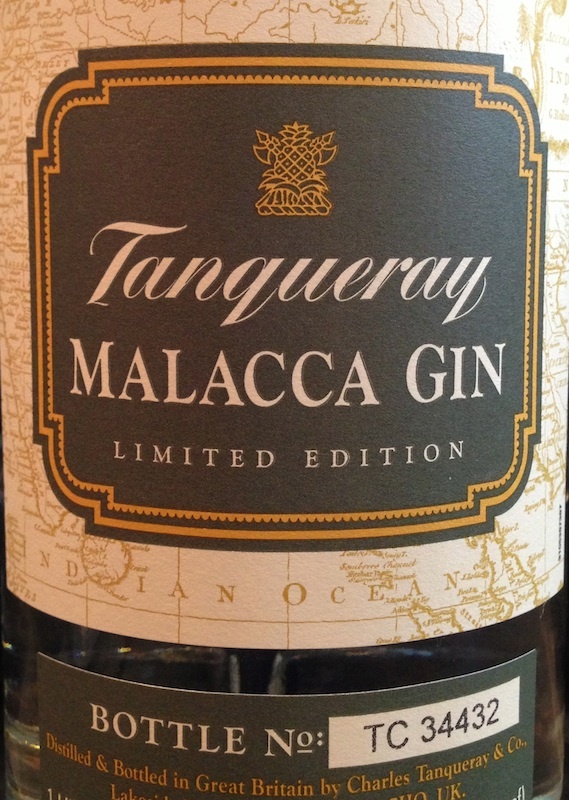 In this case, being the late 90s…I suspect around '97 or '98…he suggested a new gin called Malacca, made by Tanqueray, that was a little sweeter, a little more citrus-y than a traditional English gin. The cocktail he shook was a variation on the martini called a Cooperstown, the glass washed with vermouth and rubbed with mint before the chilled gin was added. I still remember the bartender setting the glass on the bar, the slightly frosty martini glass, the crystal clear pool of liquid with the tiniest of mint leaves floating on its surface, how it tasted of lime and herbs and a hint of mint. We bought our own bottle and made that drink many times and it became, in many ways, our gateway to the world of cocktails. We were shocked a few years later…2001, to be precise…to find that Malacca was discontinued by the company. While we tried to replicate it many times with other gins, nothing had that herbaceous, citrus-mint glint that we remembered. Then, twelve years later, there was the surprising news that the company had decided to bring back Malacca. Last week we were able to buy our first bottle (actually, two) and make that drink again, remembering nothing of the occasion that brought it into our lives, only the cool liquid pool with its delicate mint float. Fill cocktail shaker 2/3 full of ice. Add gin and shake. In chilled martini glass, add splash of vermouth. Using a mint leaf, rub the vermouth all around the inside surface of the glass. Discard vermouth and mint. Strain gin into the glass. Float a small mint leaf on the surface and serve. Can you please share where you found the Malacca. We also were huge fans of this gin. I am so pleased it's back again. Dave said he got it at Hollywood Liquor Store on NE Sandy and I heard that Pearl Specialty on NW Lovejoy also has it. Word is that the OLCC is doling it out in dribs and drabs to the stores. Probably worth a call before you go to make sure. And Blair, what was your favorite cocktail to make with it? Cannon Beach Distillery makes a nice citrusy gin. I wonder if that would work for your drink. Thanks for the heads up on the Malacca. We will have to try it. Thanks for the heads-up, Gretchen…I'll have to look for it! 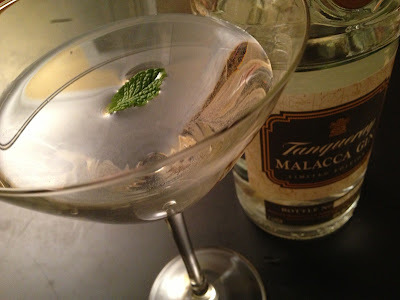 Thanks for posting this recipe...I am a die hard Tanqueray and found out about Malacca last year. I was lucky enough to find 3 bottles locally and will happily try this recipe as my first experience. Thanks Again!